Derrick shakers are some of the most efficient & advanced shakers available, reducing costs across applications. Derrick centrifuges can be configured with a simple “on” switch, or monitored remotely by a computer. Clean Slurry sells US manufactured Derrick Screens in flat for Derrick and non-Derrick shakers. Derrick Flo-Line Primer belt scalpers remove clays & course solids to prolong shaker screen life. Hydrocyclones are an efficient method to remove targeted suspended solids, which can protect sensitive equipment. Pumping slurry challenges traditional pump design. Clean Slurry uses application specific pumps. Clean Slurry ensures the most efficient and environmentally safe flocculants are used on each target slurry. 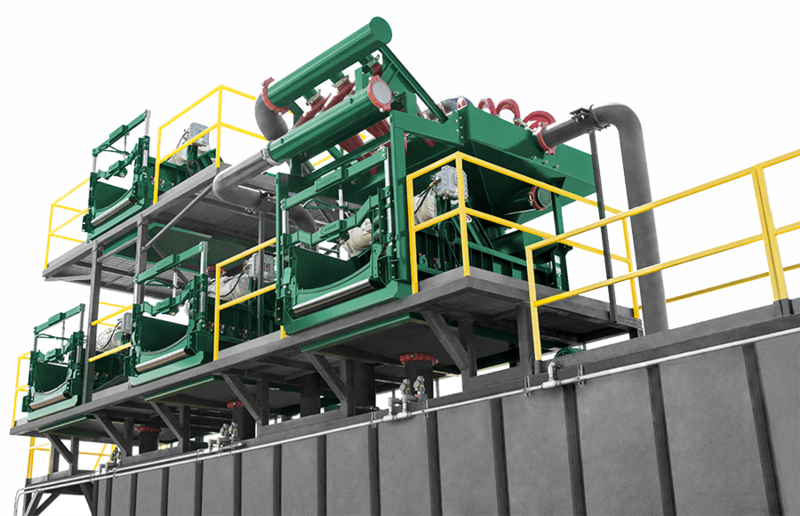 Clean Slurry provides both custom separation systems and premade solutions, such as the MSS-12. Derrick Hyperpool Shakers are essential for solids separation. They provide everything desirable in a shaker: durability, modular & easily replaceable parts, screen longevity, and application flexibility. 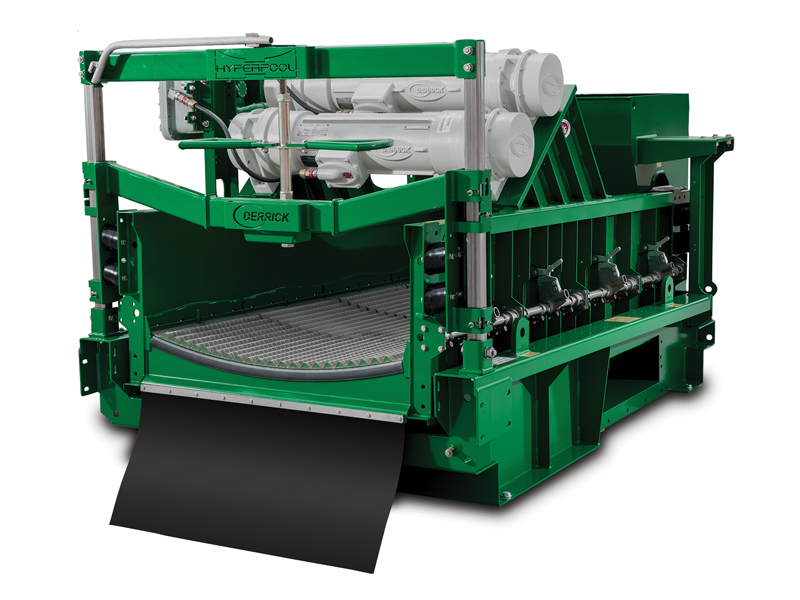 The concave bed and screen tensioning mechanism enable the shaker to operate at high G and screens can be changed quickly. Derrick Pyramid Screen Technology increases screening area and allows screens to handle a higher capacity. Clean Slurry uses two sizes of Derrick centrifuges, the DE-1000 and the larger DE-7200. Derrick centrifuges use in excess of 2300 G to remove solids as small as 2 μm. Derrick centrifuges come in three drive types: full hydraulic, gearbox drive, and variable frequency drive. The different drive options provide application flexibility. 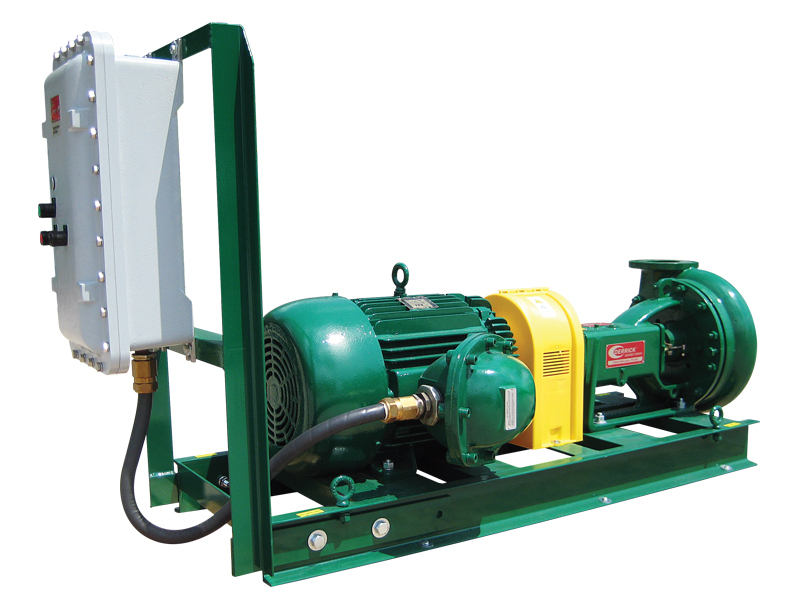 Hydraulic driven models provide a low maintenance platform, while VFD units provide precise control, and gearbox driven units offer a simple and value-oriented solution. Derrick Pyramid Screen Technology is the most advanced screening technology on the market. 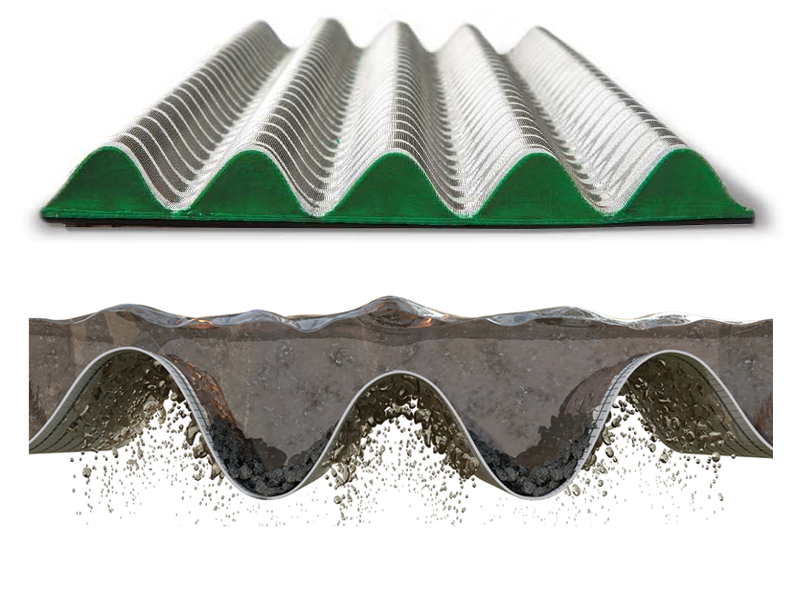 The curved design increases screen surface area and allows fluids sitting atop solids to pass through the screen at its crests while the solids accumulate in the troughs. The result is increased yields and shaker performance. Derrick Flo Line Primers are an effective way to remove to remove heavy clays and prolong shaker screen life. Belt scalpers are designed to remove course solids like heavy clays. 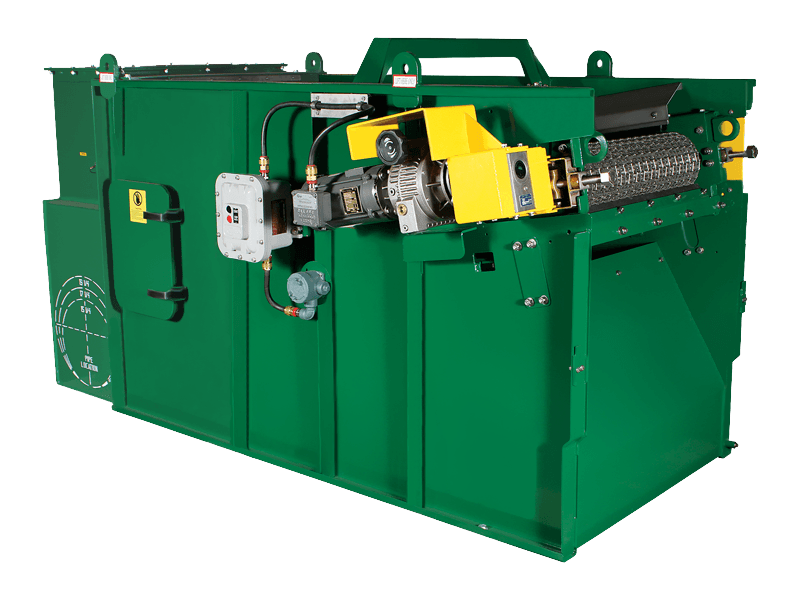 They can be operated stand-alone for very basic solids removal, or they can be incorporated into a system as a first cut solids separation. 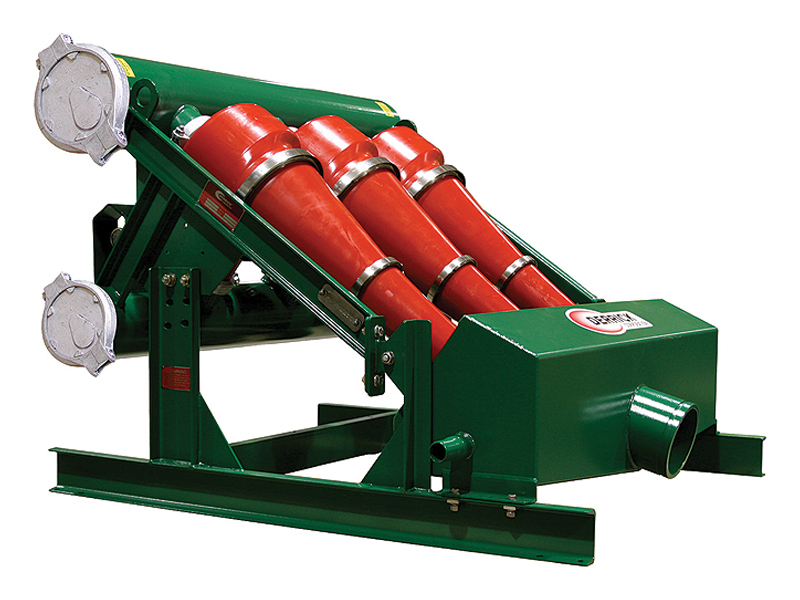 The Flo Line Primer series of belt scalpers are designed to be durable, reducing maintenance on the belt scalpers, while helping reduce maintenance and screen replacement on shakers as well. 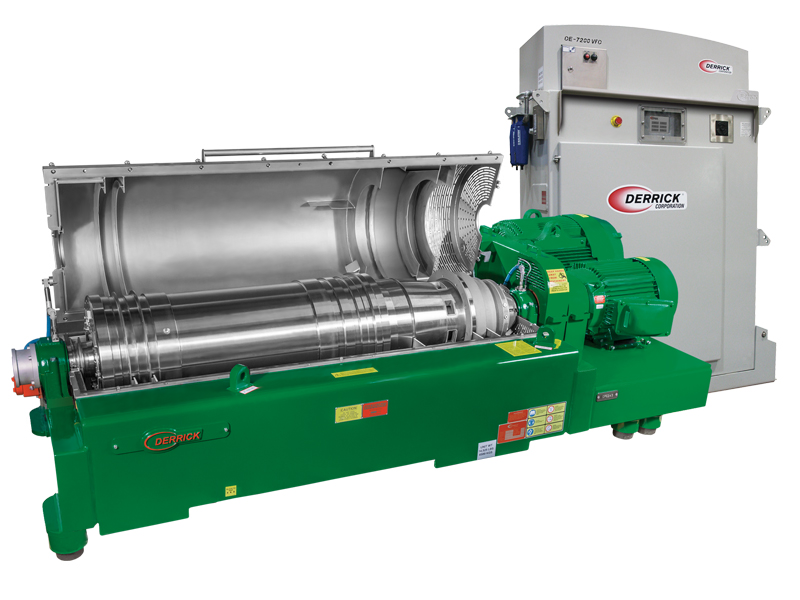 Clean Slurry uses Derrick Hydrocyclones for smaller systems and has a distributorship with Weir Slurry for systems that require larger solutions. Hydrocyclones take advantage of material density to separate solids from liquids. Hydrocyclones are particularly good at removing sand and silt from slurry which can help protect sensitive equipment from abrasion. Larger or smaller cone packages can be used depending on what size and density of particle is targetted. Whether they are used for chemical dosing, powering hydrocylones, feeding shakers and centrifuges, or transfering slurry, pumps are essential to solids control operations. The correct type and size of pump must be selected to ensure smooth operations and maximum pump life. Clean Slurry works with a variety of makes and models of pumps to ensure the pumps we use for each application have maximum performance with the least down time. Clean Slurry works with leading chemical manufacturers and researchers on 3 continents to bring the most effective chemicals and flocculants to our customers and operations. Each application will require a different process, sometimes involving multiple phases of treatments. Some flocculating agents work standalone, but most are designed to enhance the performance of our systems. The core business of Clean Slurry is integrating complex equipment and components into a cohesive system optimized for the customer. Clean Slurry always starts by consulting with the customer to identify their needs. The customer is involved in the process from start to finish to ensure they get the product they need. 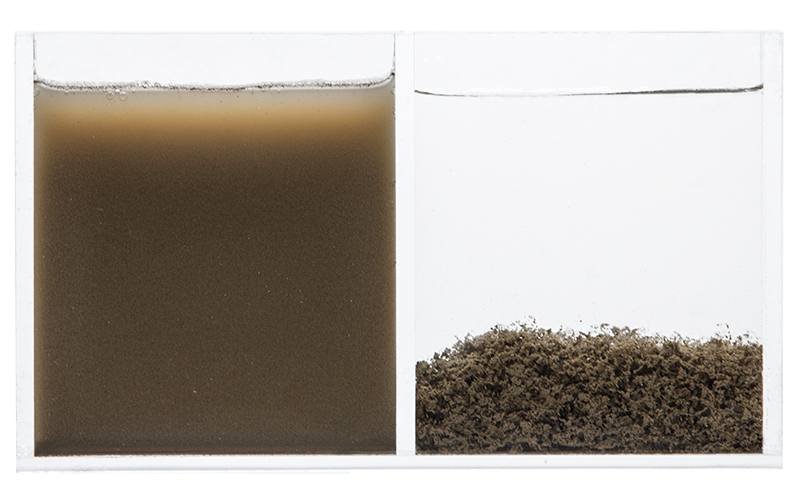 Throughout the design and build process, Clean Slurry tests slurry samples in our lab to ensure optimum and consistent performance of the system on time.